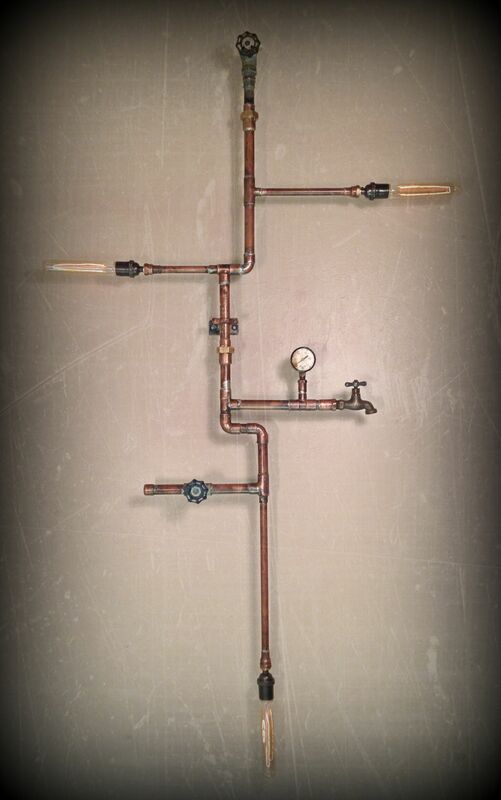 These are examples of what can be done, the copper pipes and brass fittings are 90% reclaimed. 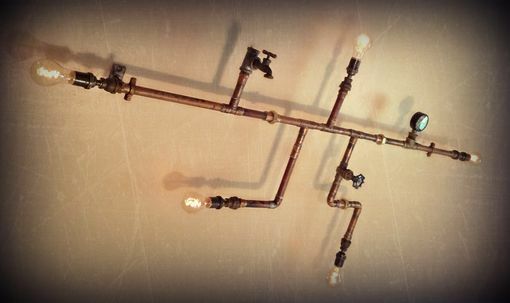 These were made to be hardwired, plug-in ready options are available too. 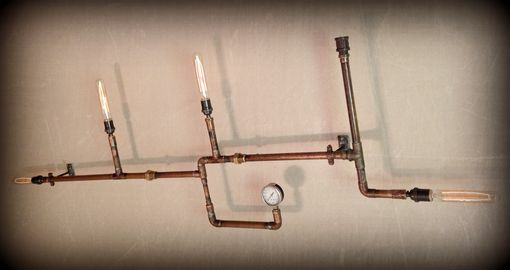 The price depicted here would be for a 4 by 3 feet piece with three lights and two or three decorative fittings and a gauge. Customization of any of these pieces is available, send me your ideas and your estimated budget to give you a more accurate design. Shipping is not included on the price, please inquire for the rate. NOTE: These pieces were designed by me and are copyrighted, please be original, don't copy my artwork.